I like to think of breakfast as a fresh start to eating healthy every day. It’s kind of nice to think that even if you ate a little poorly yesterday, you have a chance to restart your eating habits when you wake up the next morning. When you wake up, forgive yourself for eating those m&m’s or for having a second serving of fried chicken. I forgive you-we all make mistakes! Time to restart and get back on track! 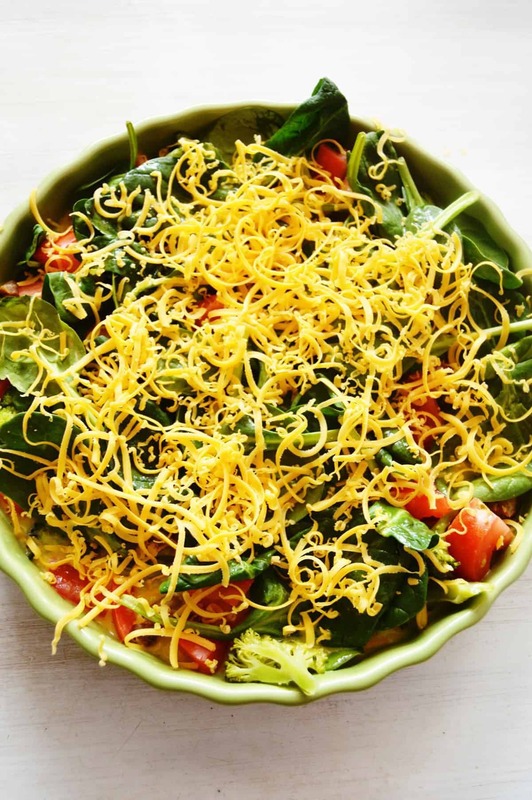 Easting healthy is especially easy to do when you have a lot of great, healthy recipes at your fingertips when you wake up. It is also imperative (at least in my book) to have easy recipes to make in the morning. I know that I don’t have time to be cooking some elaborate, multi-step recipe in the mornings especially if I haven’t fueled up with my morning coffee! 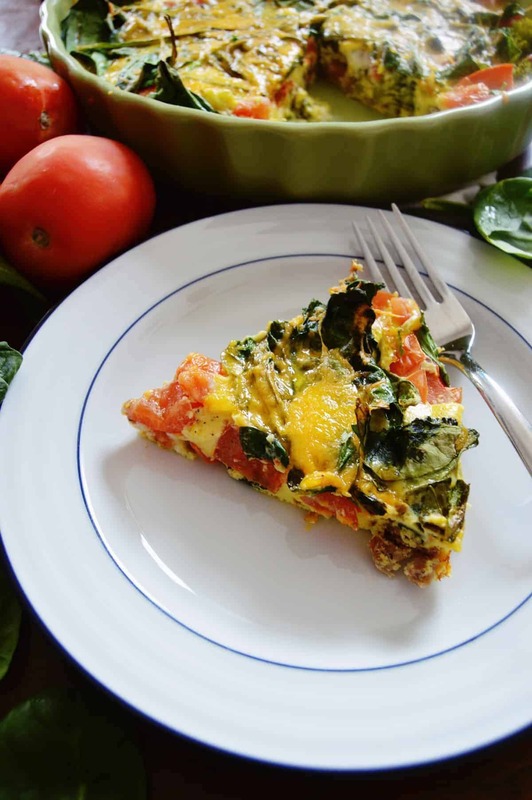 So let me add one more recipe to your nutritious breakfast repertoire with this low carb breakfast casserole. Breakfast casseroles have to be one of my all time favorite breakfast foods to eat and make. To start, they are practically effortless to make which is ideal for anyone who either has a busy morning, no energy in the morning or simply hates to cook (it’s okay, you can admit it, we don’t all love to cook!). 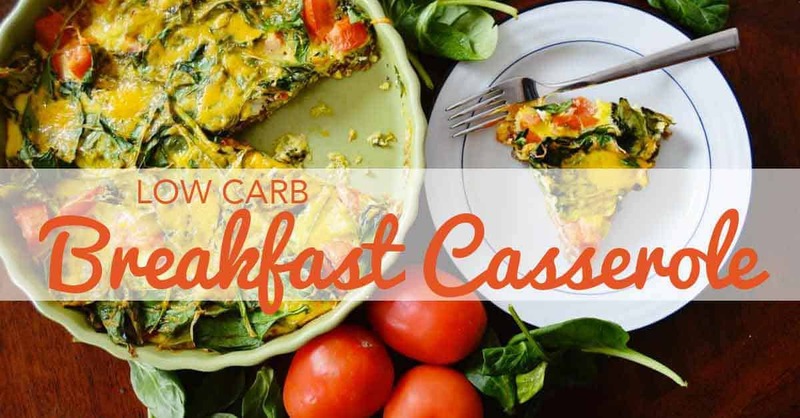 This low carb breakfast casserole is a recipe that anyone can master. Trust me- you can do it! Related: How about a great cup of coffee delivered to you home every month? 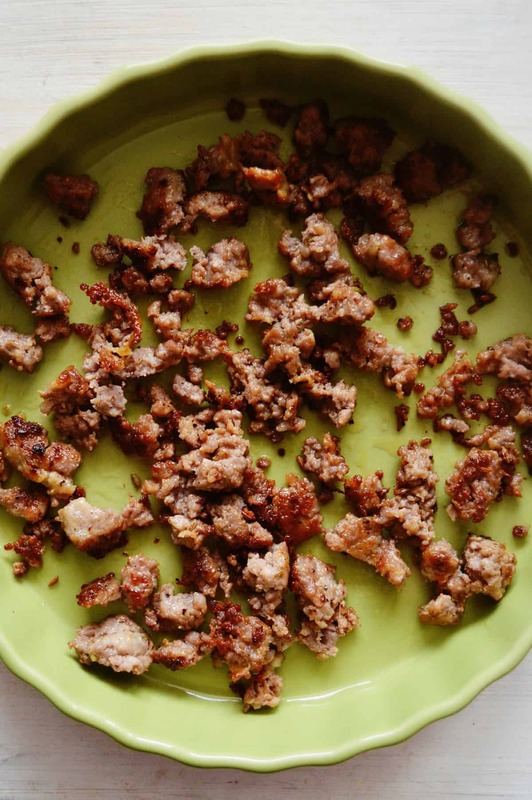 This recipe give exact portions and ingredients to add to the casserole but you can really feel free to improvise as long as you keep the low carb goal in mind (don’t improvise with a cup of sugar!). 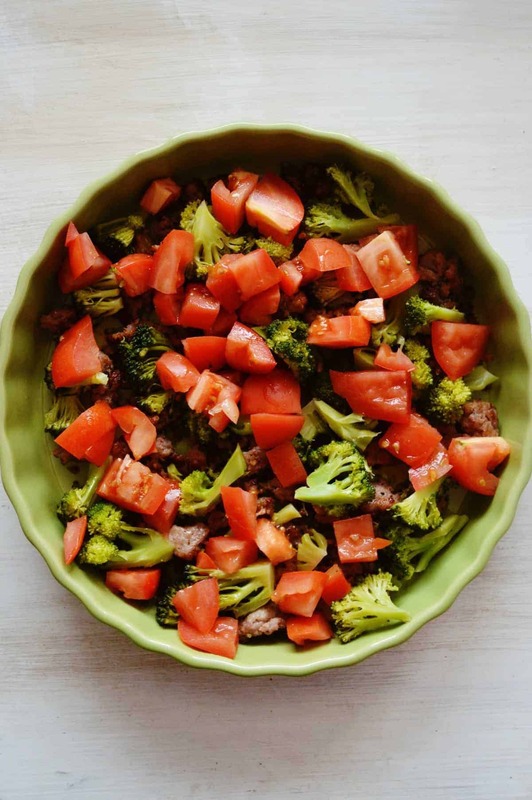 While I really enjoy the broccoli, sausage, spinach and tomato combination, you can easily add almost any veggie to the mix. Toss a few jalapenos in there or grab a handful of mushrooms for the casserole- flexibility is key! 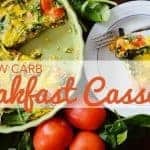 Maybe you have guessed this but low carb breakfast casserole is perfect for serving a lot of people. One big dish, one perfect complete meal, very little effort. If you have a large family, no more cooking eggs to order or flipping pancakes for hours in order to feed everyone a hot breakfast. 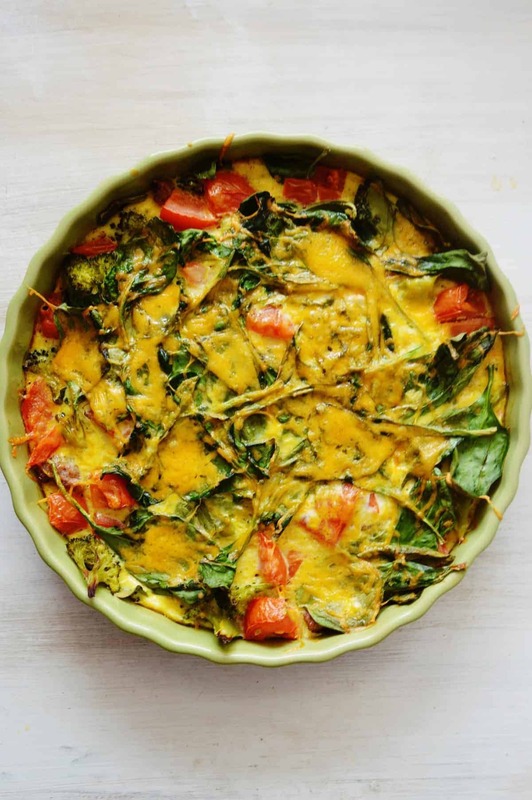 Once this large casserole comes out of the oven, it can go right in the center of the breakfast table for everyone to enjoy- no waiting needed! 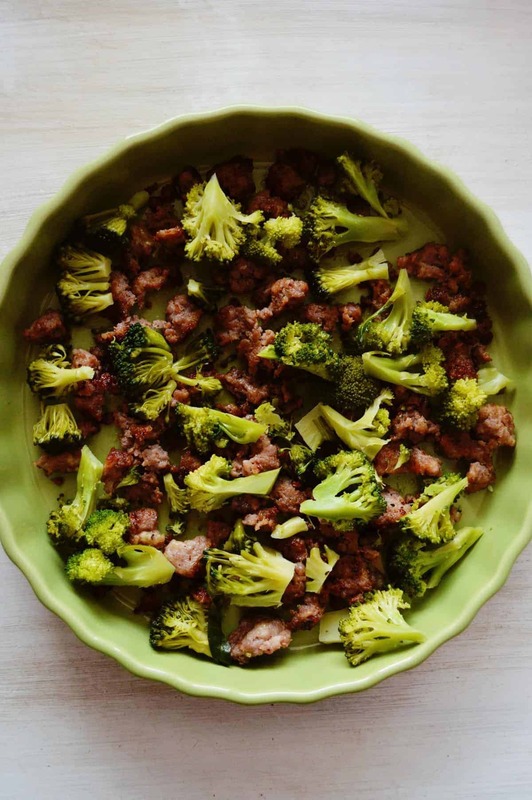 Layer the sausage, broccoli, spinach and cheese in a large casserole dish. Remove from the oven and serve while hot! Tasty and yummy, try out these Paleo recipes for breakfast that can get your day started on a tasteful note.